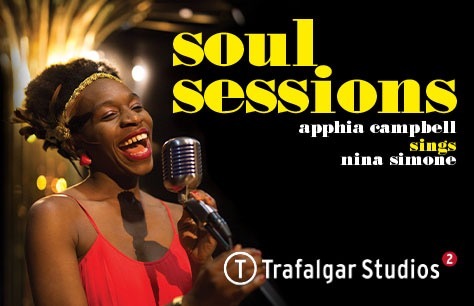 Soul Sessions tickets are now available for Apphia Campbell’s moving tribute to Nina Simone. Apphia Campbell spends nearly an hour embodying the spirit of Nina Simone’s striking music. Her tribute to Nina Simone is like nothing you’ve heard before. Playing after selected performances of her musical Black Is The Color of My Voice. Apphia Campbell's musical was inspired by the life of songstress Nina Simone. For more information and Black Is The Color Of My Voice tickets, please visit our show page here. Tickets for Soul Sessions at Trafalgar Studios 2 are now available. It was great! The singer was absolutely adorable. She has an amazing voice and is a great story teller with humour and thoughtfulness at the same time. I am highly recommend it!